MailChimp Connect | First Direct Corp.
DBX MailChimp Connect provides a seamless integration between MailChimp and GoldMine. Let DBX MailChimp Connect do most of the heavy lifting for you when it comes to keeping your GoldMine data in sync with your MailChimp campaign results.The right way is the better way! Stop switching between MailChimp and GoldMine. View most of MailChimp campaign results from within DBX MailChimp Connect and with a few clicks of a button, update GoldMine and get ready for the next campaign. 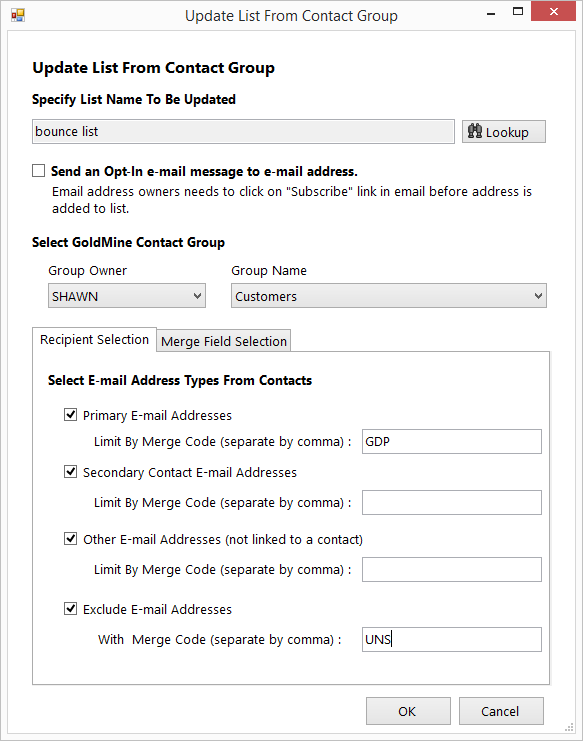 Update existing MailChimp subscriber list based on account within contact groups in GoldMine. Its the simplest way to pick the right email addresses out of GoldMine and into your MailChimp subscriber list. Users have complete control where to add primary email addresses only, or maybe also include email addresses associated with secondary contacts, or may include all email addresses. The user interface is greatly simplified to allow quick navigation and minimize the need for user training. Download and install the latest build of DBX MailChimp Connect. Follow instructions on initial dialog box on how to setup the MailChimp API integration. 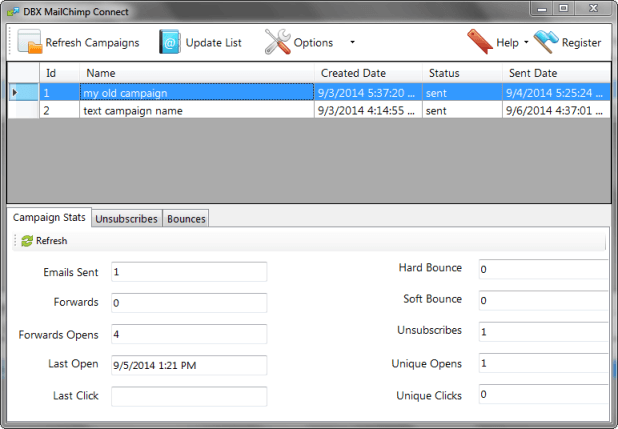 Once the MailChimp API integration is enabled, the application is now able to display campaigns and related items. To integrate with GoldMine, click on “Options” toolbar menu option and select “GoldMine Integration Setting”. Browse to your GoldMine installation folder and provide a valid GoldMine username/password. Now that setup is completed, it is time to verify that both MailChimp and GoldMine integration is complete. 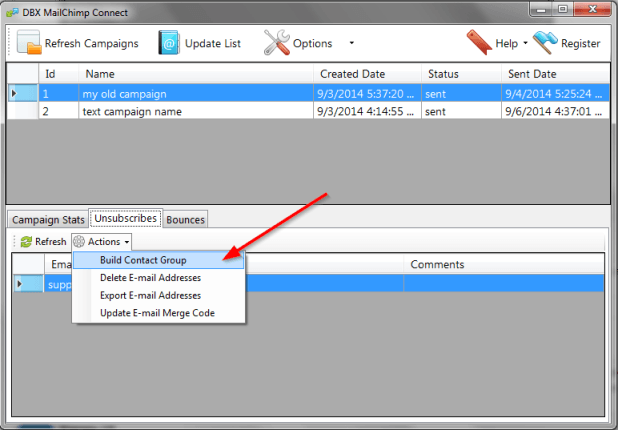 Select a campaign that has some bounce-backs (or unsubscribes) and and go to the bounceback tab then click on “Tools | Build Contact Group”. Set it to build a new contact group and verify that the new group is created with the correct set of contact records as members of the new contact group.